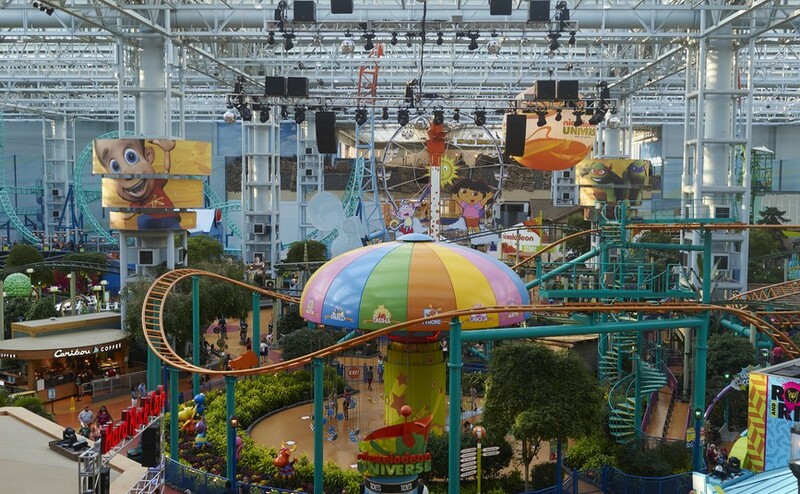 Nickelodeon Universe is a 7-acre amusement park located in the Mall of America, home to various Nickelodeon-themed rides and memorable characters for all families to enjoy. During the construction of Nickelodeon Universe, three new rides were built: Eurofighter, the Surfrider and the Moser Tower Spring Ride. These rides were steel framed, and placed on both spread footings and drilled shafts. We provided special inspection and quality control testing services during construction to include earthwork observations and testing, concrete testing, concrete reinforcement and cast-in-place concrete inspections, masonry special inspections, high-strength grout observations and testing, post-tension special inspections and proofrolls. In addition, for certain rides in the amusement park, our NACE-certified coating inspector evaluated the current interior steel and coating conditions, prepared specifications and recommended a coating system for Phase I remedial work.